The three of us are standing at the stove, our eyes focused like lasers on the sumptuous and thickening daffodil-yellow liquid in the big pot before us. We take turns stirring the precious golden mixture, using a wooden spoon, having been instructed that it will be done when you can draw your finger over the back of the spoon and the mark remains. This is called the nappé stage, we are told. It sounds so simple when the instructor explains it: simple, but ominous. 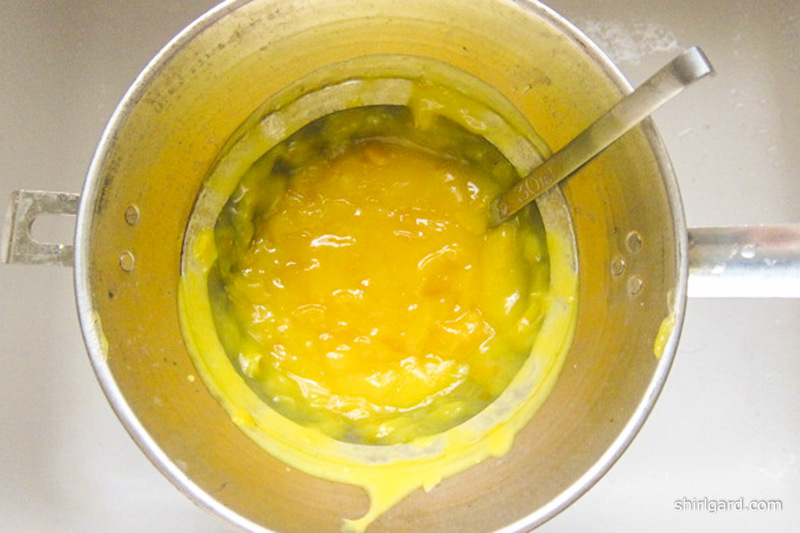 For me, today will always be remembered as “Lemon Curd Day” at cooking school, a day that shall “live in infamy” as far as my cooking career goes and a day that I will never forget. Our class of fifteen students is divided into groups of three and each group is responsible for making several recipes on the production list of Mousses, Bavarians, Fillings, and Pastry Doughs that comprise today’s lesson. 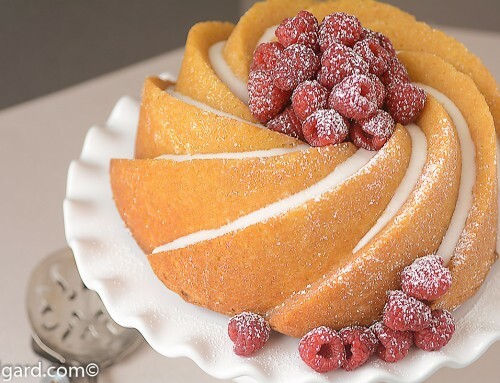 Lemon Curd is one of the fillings on the list and it is assigned to my group. Lemon Curd Day looms so large in my memory that I don’t remember what else we were assigned. We begin the Lemon Curd saga by getting our mise en place (literally: everything in its place) together. 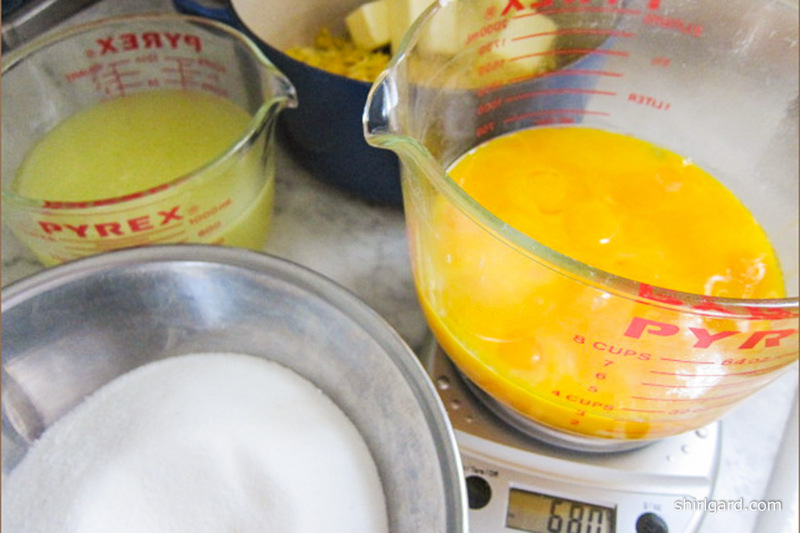 Because the whole class will be using our Lemon Curd as an ingredient in later recipes, we are making a big batch, four times the original recipe. 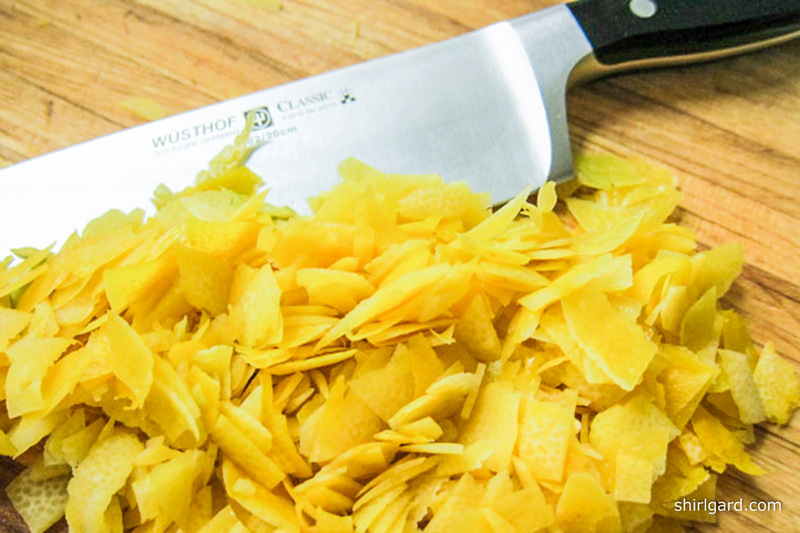 First, we begin by grating the zest from sixteen large fresh lemons. I notice that the lemons are a vibrant bright yellow, (after all, this is where the color “lemon yellow” comes from), not that dark-yellow-starting-to-turn-dull-orange color, which is a signal and a sure sign that they are drying out and departing the world of “fresh”. 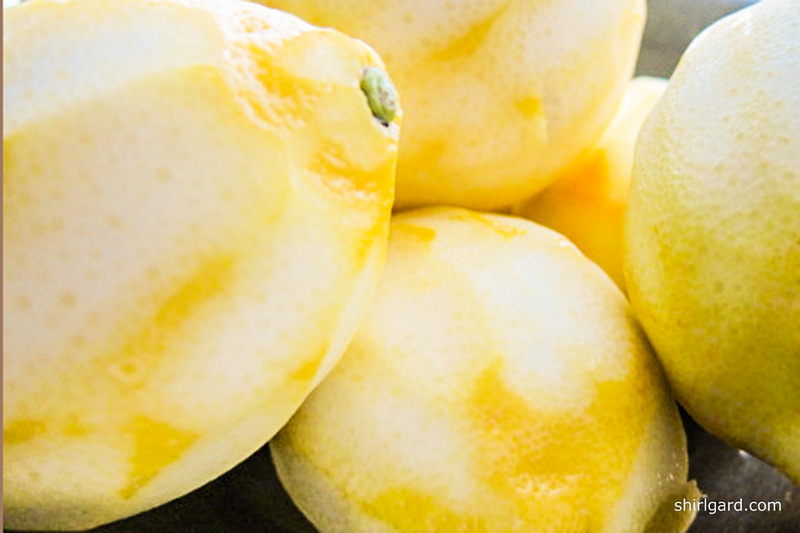 Having bright yellow lemons is a good thing, I think, as I remember the instructor’s earlier emphasis on the importance of using very fresh lemons for the best flavor. We are careful not to press too hard on the zester and get too much of the pith, again heeding the advice of the instructor, who stops at our table as she makes her way around the kitchen observing the doings of each group. To paraphrase her note of caution, we are to make sure that no white pith gets into the curd mixture, either from the zest or from the juice, because it will make the curd bitter. Message received: yellow zest is good; white pith is bad. We cut the sixteen zested lemons in half and begin juicing them, remembering not to squeeze too close to the awful dreaded white pith. We need one and a half pounds (680g) of juice; this takes a while. Next, we need an equal quantity of sugar: 1 ½# (680g). 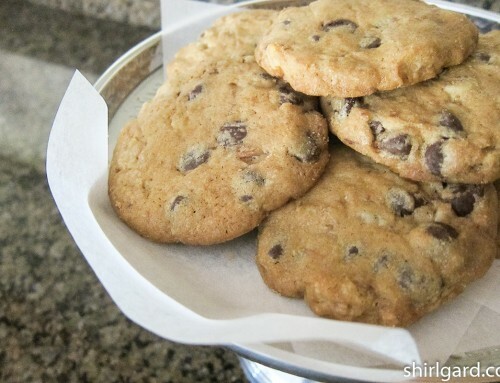 After that, there’s no need to weigh the butter because the big recipe calls for an even 1# (450g). Finally, we separate thirty-two large eggs, because we need thirty-two yolks (640g, because one yolk = 20 grams), saving the whites for some recipe that calls for a lot of whites like Italian Meringue, or Coconut Macaroons, or Buttercream. Everything but the egg yolks goes into a large heavy stainless steel pot—wide and low like a Dutch oven—called a rondeau. We bring the liquid (which consists of the lemon juice, zest, sugar, and butter) to a boil over medium heat (so far, so good) and then whisk some of the hot liquid into the beaten egg yolks; this is called “tempering”. After “tempering” about half of the boiling liquid into the yolks and returning it to the pot, we begin to cook the curd. The instructor comes over to the stove, directing us to stir the Lemon Curd with a wooden spoon, using a “figure-eight” motion. As I take my turn at stirring, I cannot get out of my mind the vision of ice skaters doing their “figure-eights” at the Olympics a long time ago. And, as I watch the ice skaters, a warning from the instructor: “Do not allow the Lemon Curd to come to a boil or it will curdle”. It happened so fast! Not a minute later, the horrible of all horribles happens; I watch in disbelief as the curd begins to boil. Before we knew it, we are staring into the big rondeau at the biggest mess of “Lemon-Scented Scrambled Eggs” imaginable. The instructor asks us to make the Lemon Curd over. We have to. The whole class is counting on us for Lemon Curd. 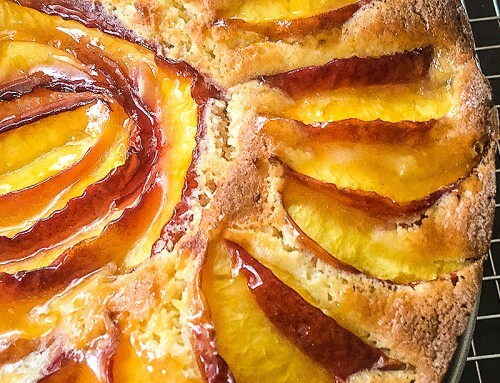 In my pastry kitchen (after I became a pastry chef), a few years after that awful day, I made a few changes to the procedures in the original recipe; the recipe itself remains the same (except for being converted from ounces to grams), not to be improved upon. First, after a few more large batches of “Lemon-Scented Scrambled Eggs”, I edited the recipe to: “Cook to between 178°F and 180°F. (Below the boiling point). Must cook gently, stirring constantly in a “figure-eight” motion. NEVER BOIL. 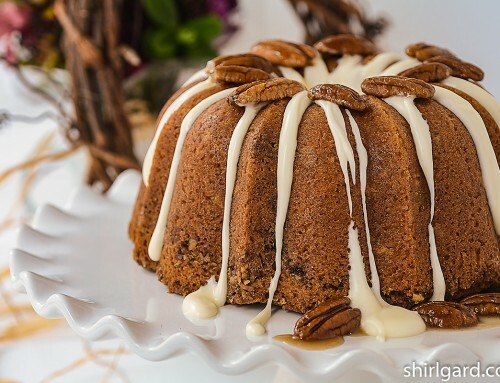 Remove from heat immediately when done and strain through a chinois.” I also asked everyone in the kitchen to please use a thermometer when cooking Lemon Curd. It would still be OK to check for the nappé stage; a thermometer would just be an insurance policy. But WHY did the Lemon Curd scramble? I learned that day, based on the scientific fact that eggs do not curdle when cooked in the presence of starch, and because Lemon Curd has no starch (such as flour or cornstarch), it will curdle when the eggs get too hot. 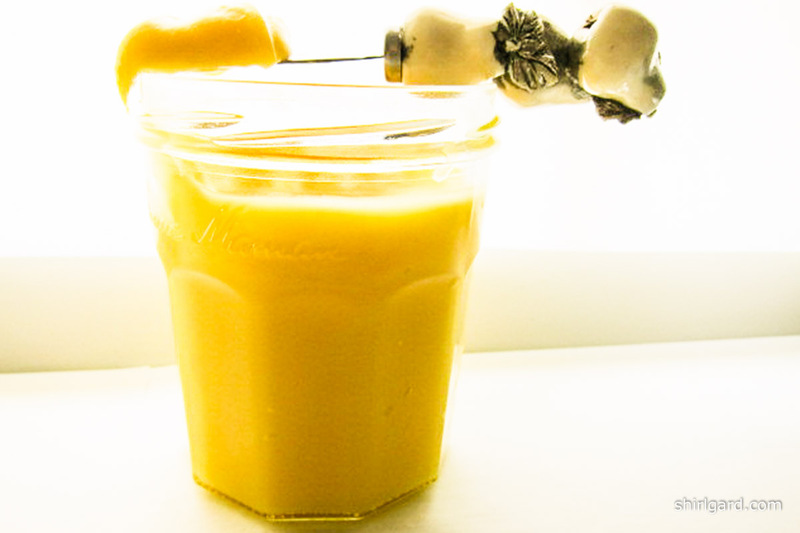 This remains my favorite Lemon Curd and I thank Nick Malgieri, the director of the Professional Pastry Program at Peter Kump’s New York Cooking School (now the Institute of Culinary Education or ICE) for the recipe. I also want to thank Bianca Henry, who was the instructor that day. 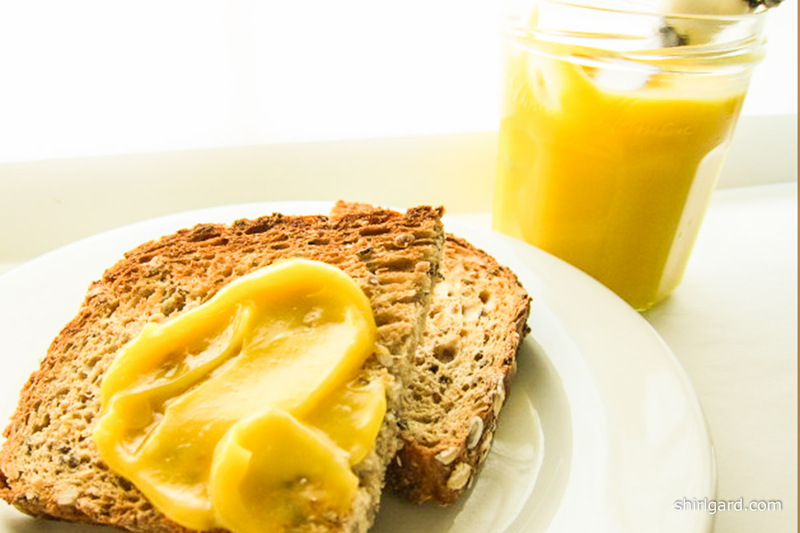 I have made this recipe many times since “Lemon Curd Day”; it is almost always perfect and never boiled. When done correctly, Lemon Curd is a rich, silky-smooth and intensely-flavored custard, with a thick jam-like consistency. 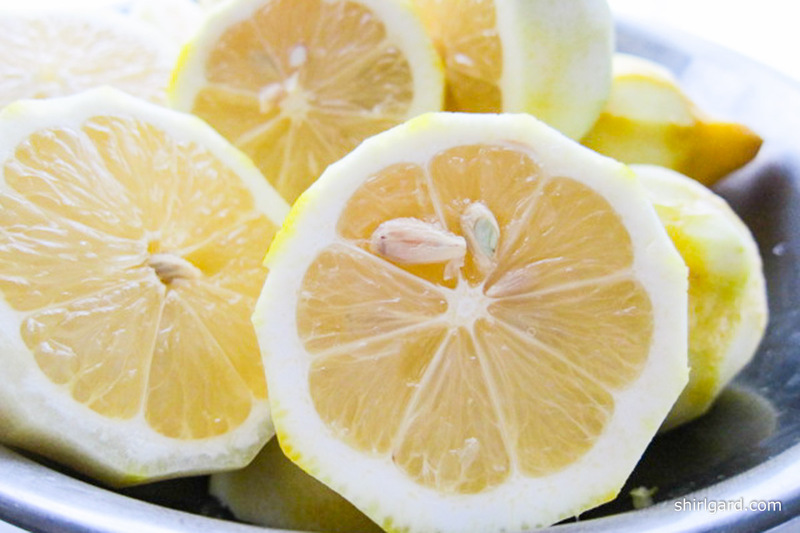 With such concentrated lemon flavor, a little goes a long way. 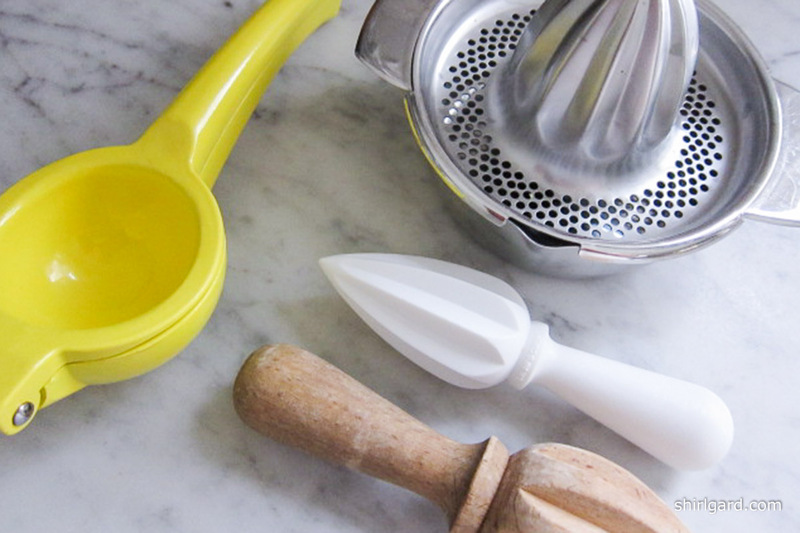 Here’s my list of the many different ways to use Lemon Curd. 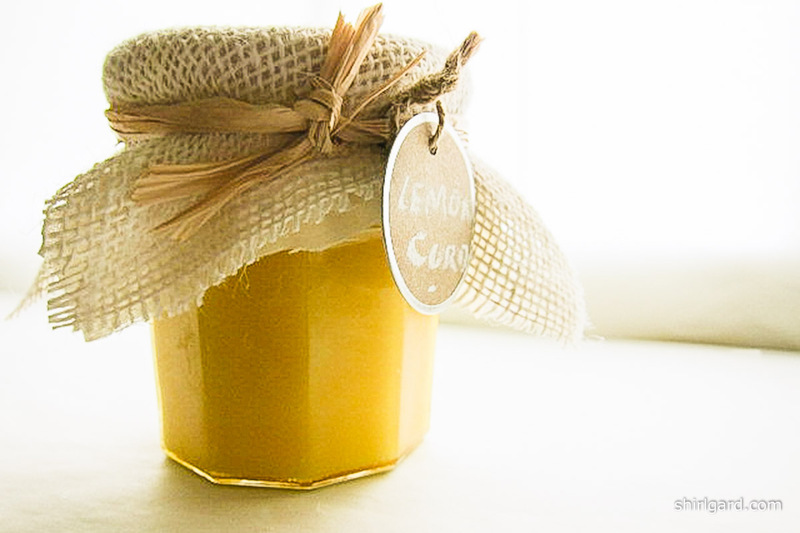 Although I've tried other Lemon Curd recipes, this is my favorite. When done correctly, this Lemon Curd is a rich, silky-smooth and intensely-flavored custard, with a thick jam-like consistency. 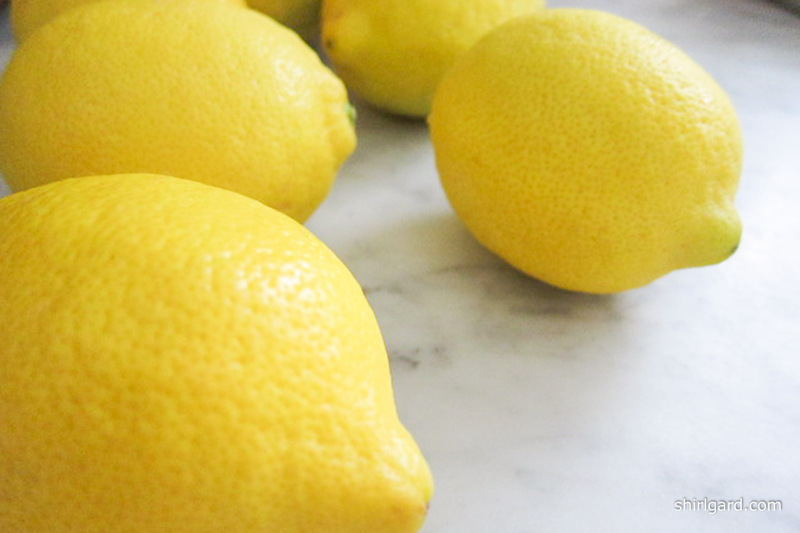 With such concentrated lemon flavor, it's easy to say "Now that's lemon!" Here are three different sizes of the recipe; use the one that fits your needs, depending on what you plan to do with the curd. 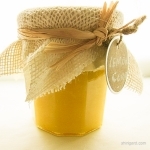 The recipes for larger batches make it easy if you want to pack the Lemon Curd into jelly jars, like I do, and either freeze or give as gifts. PEEL the zest off the lemons in thin strips with a vegetable peeler, then coarse-chop the zest; it will be strained out of the curd later. 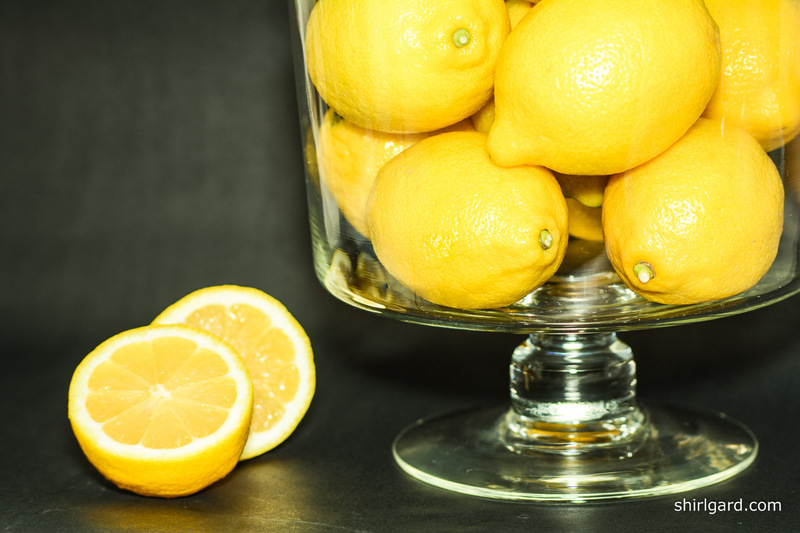 Squeeze the lemons and strain the juice; weigh or measure the correct quantity of lemon juice. 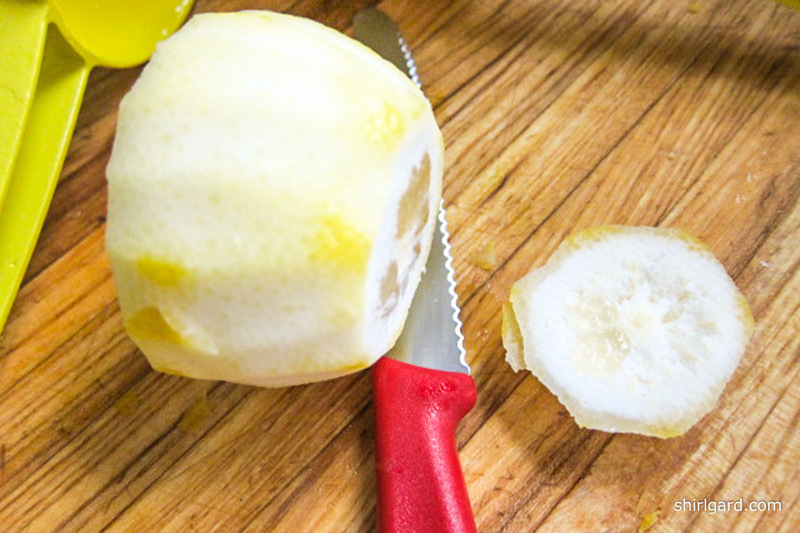 Caution: Make sure that no white pith gets into the curd mixture, either from peeling the zest, (cut any white pith off the backs of the peeled strips with a pairing knife if necessary), or from juicing the lemons (don't squeeze too close to the pith). Either of these things could cause the curd to be bitter. COMBINE the zest, juice, sugar and butter in a heavy saucepan; or, if making the large recipe, use a Dutch oven or rondeau. Bring to a boil over medium heat. 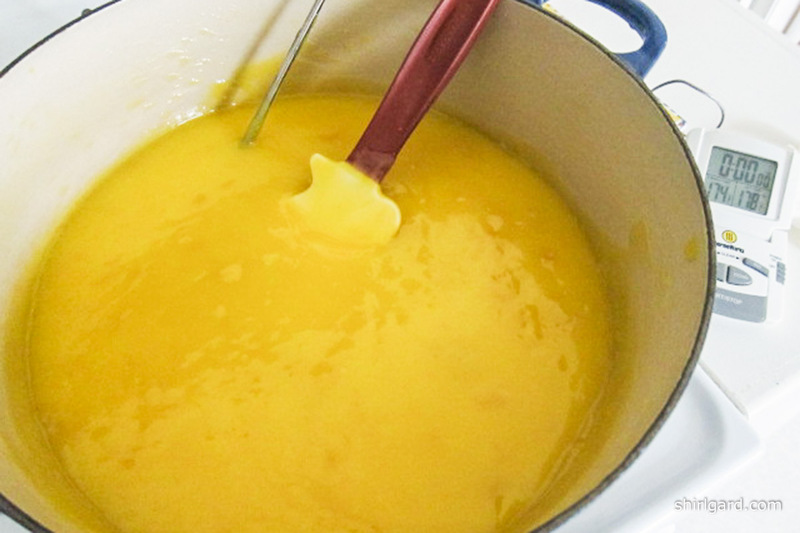 WHISK the yolks in a bowl until liquified. Temper half of the boiling liquid into the yolks, whisking constantly. Pour the yolk mixture back into the pot and insert a probe thermometer into the liquid. STIR constantly in a "figure-8" motion with a wooden spoon or heat-resistant rubber spatula (red handle), going often into the corners of the pot. Continue cooking slowly over medium-low heat until the curd thickens to a firm-set, about 10 minutes overall. During this time, turn the heat on and off as necessary, stirring constantly, to prevent the curd from coming to a boil and to maintain a temperature of about 178°F (81°C). If you don't have a thermometer, cook until you can run your finger through the curd on the back of the spoon and a mark remains; this is called the "nappe" stage. TO REPEAT: Cook to between 178° (81°C) and no higher than 180° F (82°C), which is the maximum temperature to prevent the curd from coming to a boil. Must cook gently, stirring constantly in a "figure-8" motion. NEVER BOIL. 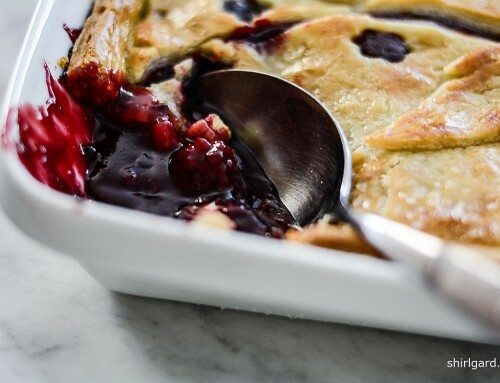 REMOVE from heat and Immediately strain through a chinois into bain marie (or through a strainer into a large bowl). Press plastic wrap directly onto the surface of the curd and chill it in an ice bath. BLOOD ORANGE CURD: Substitute zest of 4 Blood Oranges: Use 140g blood orange juice and 30g lemon juice. Reduce sugar to 120g. 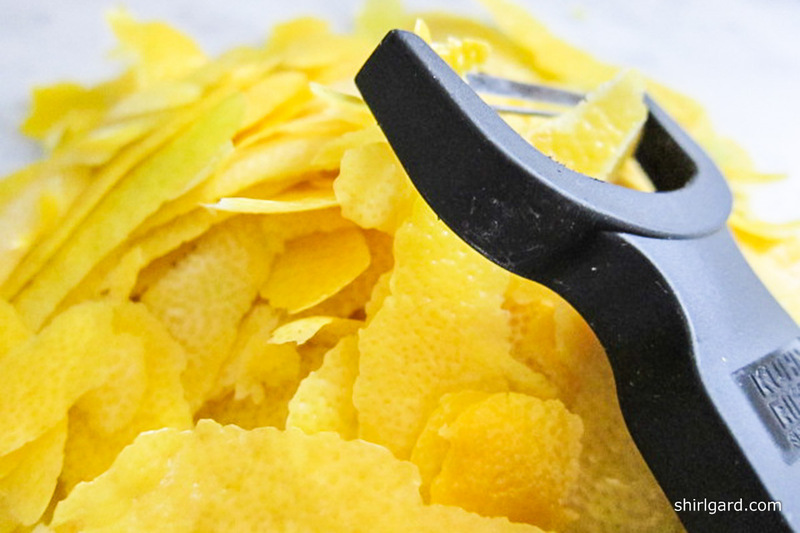 ORANGE CURD: Substitute zest of 2 large Navel oranges: Use 120g orange juice and 50g lemon juice. Reduce sugar to 120g. KEY LIME CURD: Substitute zest of 6-8 limes, depending on size: Proceed as for Lemon Curd, substituting lime juice for the lemon juice. 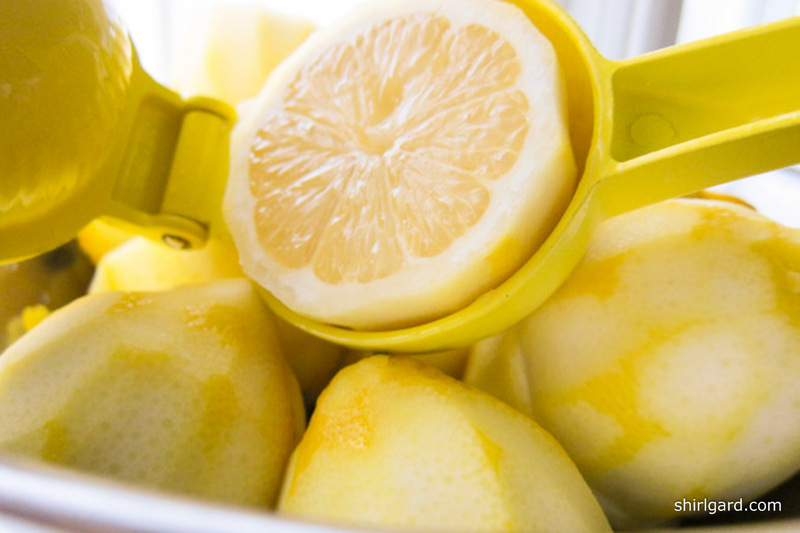 For lime juice, use half fresh lime juice and half Nellie & Joe's bottled juice. PASSION CURD: Substitute frozen passion fruit purée: Proceed as for Lemon Curd, using the purée in place of lemon juice and omitting the zest.